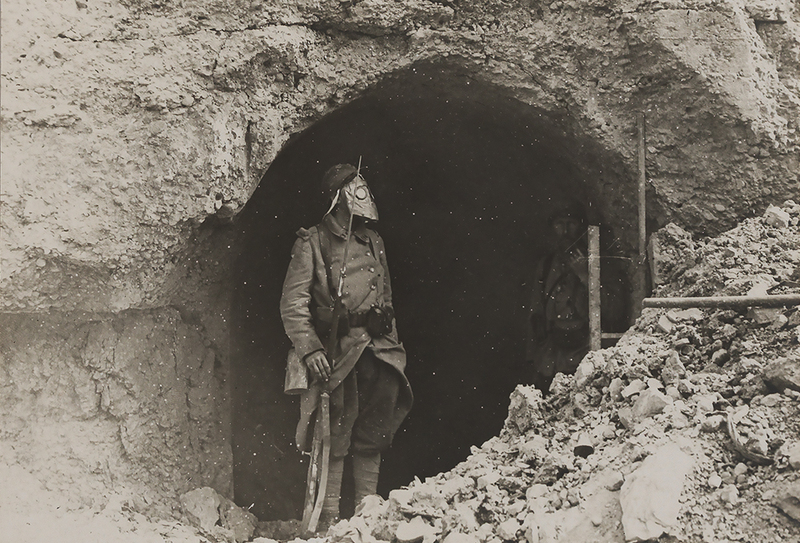 Fort Souville was situated to the south of Fort Douaumont and to the south-west of Fort Vaux. As part of the Thiaumont-Fleury-Souville ridge, it was the last observation post of French artillery on the right bank of the Meuse and represented the final obstacle to shielding the city of Verdun from the German advance. 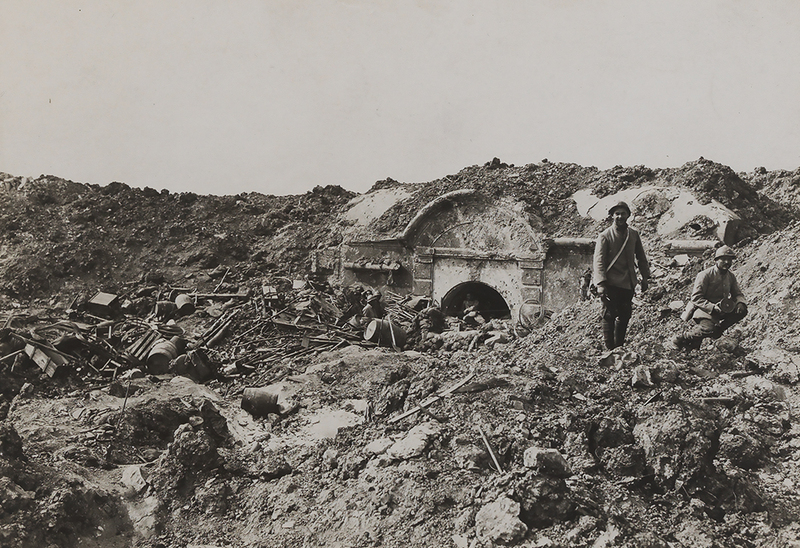 Once the Germans had captured Fort Vaux on 7 June, this ridge was caught in the middle of heavy fighting. 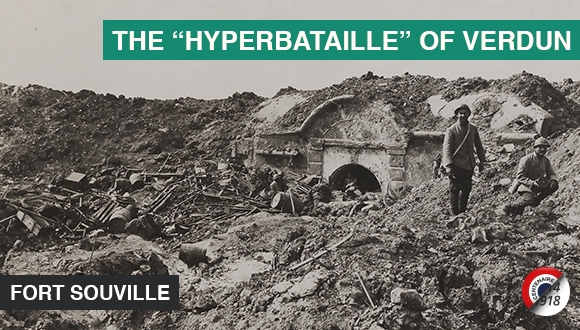 The location of Fort Souville played a determinant role during the battle that took place from June to July 1916 as it dominated and flanked the entire German combat zone. The assault on this fort on 11 and 12 July proved to be of the last chance for the Germans: the few soldiers who had managed to approach the fort were killed while the survivors surrendered to the French. 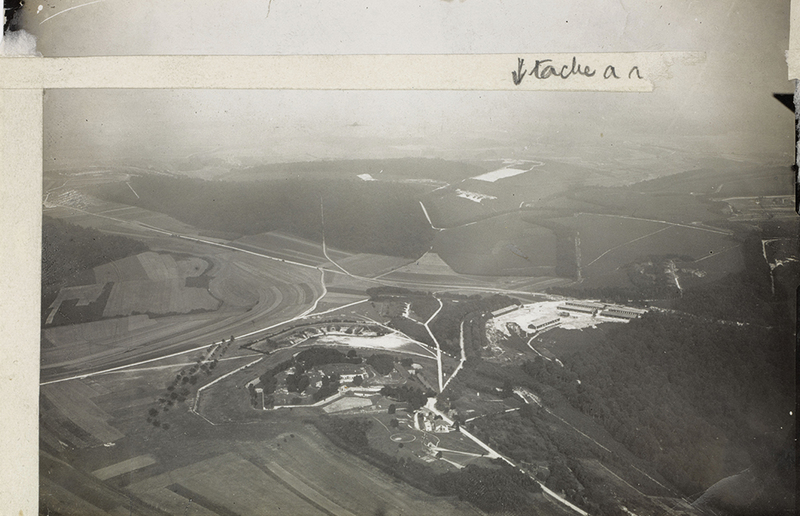 Like all the works of the concentric fortified rings around of Verdun built at the end of the nineteenth century, Fort Souville was made out of limestone and later modified with reinforced concrete, additional layers of sand and the construction of artillery casemates. However, the sole nature of the violence and the magnitude of the bombardments from German 370 and 420 mm guns led to the collapse of most of the corridors and tunnels inside the fort, forcing its defenders to fight mostly in shell holes as if they were fighting on the battlefields of Verdun.